If you’ve made it to this page, chances are you’re looking for something a little bit special: To be able to have the best job in the world! 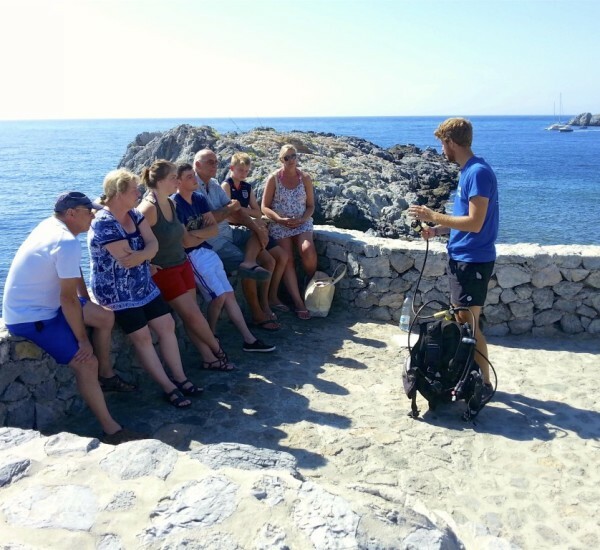 The Open Water Scuba Instructor (OWSI) course is one of two parts of the PADI Instructor Development Course (IDC), the first portion being the PADI Assistant Instructor course. During your instructor training here on the Costa del Sol, you’ll get to interact with your fellow instructor trainees and will create friendships that often carry on long after the course concludes. You’ll also begin networking with other diving professionals and start to explore the potential for PADI Pro dive jobs worldwide. The challenging part of this course is actually down to you. Your personal commitment to the training is the key to success. The course requires you to to be prepared every single day for your daily assignments and teaching presentations. Organisation and dedication are essential and are qualities expected of you as a working PADI Professional wherever in the world you may go. After becoming a PADI Open Water Scuba Instructor, you will be able to conduct the entire range of PADI courses from PADI Discover Scuba Diving up to PADI Divemaster. You may also choose to acquire specialty instructor ratings, such as PADI Digital Underwater Photographer or Enriched Air Diver. You’ll want to continue your professional training by completing courses that allow you to teach beyond the core courses. For example, specialty instructor courses boost your Open Water Scuba Instructor rating, add to your professional portfolio and make you more attractive to a prospective dive centre or employer.